Vujaday Music Festival is back for its second year in Barbados, with a killer phase one lineup already announced. 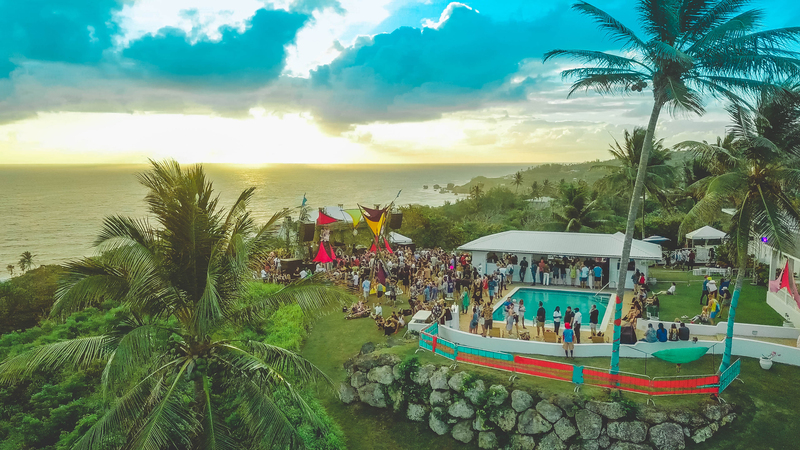 The festival takes place on April 3-7, 2019 and includes artists such as Bedouin, Bob Moses, Soul Clap, Moodymann, Sasha and more. More names will be added to the lineup in the near future but so far, the event has set the tone for a weekend filled with house music and beachy vibes. The festival encourages patrons to fully immerse themselves into the Barbados culture. We’ve come up with a list of things to do outside of the festival in order to get the most out of your experience. If you’re interested in hitting up Vujaday Music Festival, tickets can be purchased here. There are also deals available on their website for flight accommodations through Air Canada. For an extra cost, you can experience Barbados from the water on this all-inclusive catamaran cruise, which makes stops for snorkeling, swimming with the turtles and exploring shipwrecks. You can also join the Jolly Roger Black Pearl Party Cruise for a pirate themed cruise ship and all the rum your heart desires. The Pirate boat actually has a 4.5-star rating on Trip Advisor, and is one of the most recommended activities to do in Bridgetown, Barbados. Soak up the sun and ocean by drenching yourself in all the water sports activities that are available. From paddle boarding to surfing, you can get your tan on while riding the waves off the coast of Barbados. Bridgetown has tons of places to offer, but here are the top 10 local water sports to check out that are close to Vujaday Festival. You cannot go to Barbados without scuba diving or snorkeling! Some of the healthiest reefs and underwater environments live in the Caribbean. For an extra cost, you can scuba dive, snorkel, Nitrox dive or free dive off the coast of Bridgetown, Barbados with some of the cutest turtles in the world! The best part is we’ve already done some of the research for you. Check out Barbados Blue for quotes and bookings. Explore one of the coolest landmarks Barbados has to offer. Harrison’s cave is a crystalized limestone cave with flowing streams and pools of crystal clear water. This is a popular tourist attraction and a fun activity for those looking to do something different on their travels. Check out their official website for a photo gallery, reviews, and tour bookings. Bushy Park Racing Circuit is a driving range that offers you the chance to drive on the race track like a professional! This driving experience is home to international racing events like Top Gear Festival, Global Rallycross, Race of Champions and Barbados Festival of Speed. They offer 3 different packages for tourists: The Karting Experience, The Suzuki Swift Driving Experience, and The Radical SR3 Driving Experience. Check out the Bushy Park Racing Circuit website for more details. Explore the island on the land and under the sea. In just one day you can see the countryside that lies on the beautiful island and catch a Seafari just in time for the sun to set. Packages include a lunch buffet and open bar. Check out Island Safari Barbados for prices and bookings.